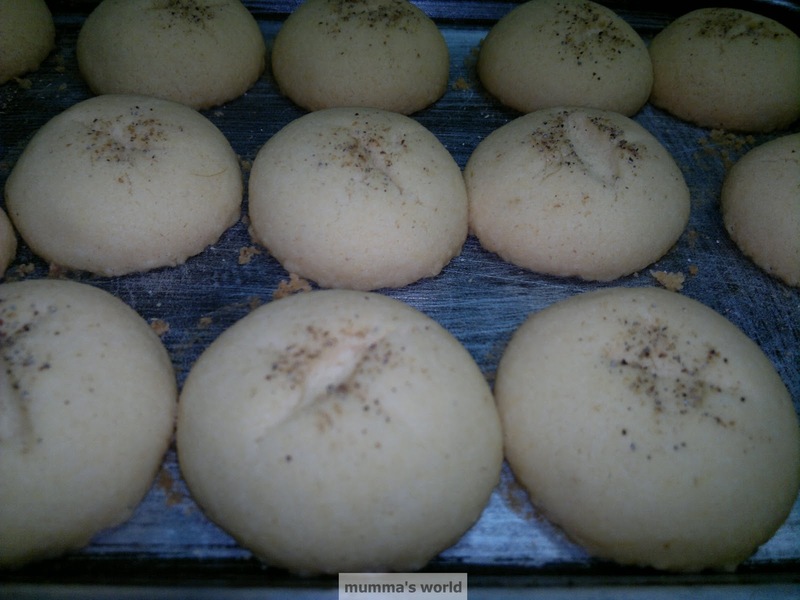 To make your new year sweeter a bit more, I would share with guys another awesome but very simple recipe for indian cookies (also known as Nan Khatai, see pics below for reference). Though it would be imposiible to believe, the ingredient list is very small and easily available in everone's home. This is the most relished and requested dish from my friends and relatives alike, with everyone keeps asking for more every time. The recipe is just so awesome and took away my fear of baking. Since, baking is one of my things to do this year, will share more baking recipes with you in the coming days. 1. Mix together sugar powder and melted ghee in a big flat pan with your fingers for 20 minutes. This step is the most crucial step for getting fluffy and crispy cookies. So, on and on you mix till your fingers start aching (just joking). By the end of this step, you would have fluffy ghee and sugar mixture. 2. Next, you add the maida and besan to the mixture prepared in step 1 above and mix lightly but completely, till your mixture is like a dough. 3. 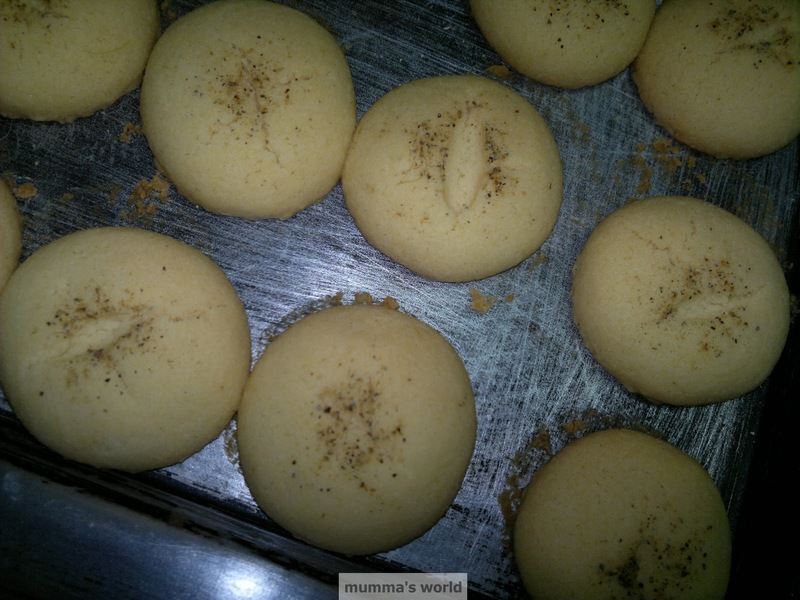 Now you make small balls from the dough prepared in step 2, you can keep the size of balls according to your liking as the cookies you will get would be double the size of balls you make. 4. Next, place all these balls on a baking tray and mark a small cross 'X' on the top of each ball (this is essential to get the crack on top of cookies, which u see in the pics). Next, sprinkle a pinch of cardamom powder on top of each cookie. 5. Now the cookies are ready to be baked. Place the baking tray (with the balls of course) in a preheated convection oven (preheat oven at 200 degree Celcius for 10 minutes) at 150 degree Celsius and bake the balls for 20 minutes. 6. 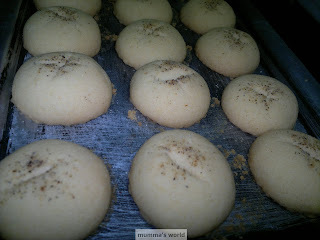 By the end of 20 minutes you would get cookies or nan khatai as shown in pics below. Let the cookies cool down completely before removing them and storing them in an air tight container. As I mentioned earlier, it is a very simple recipe and the ingredients are easily available in your home all the time. So no need to rush to the super market to get ingredients. 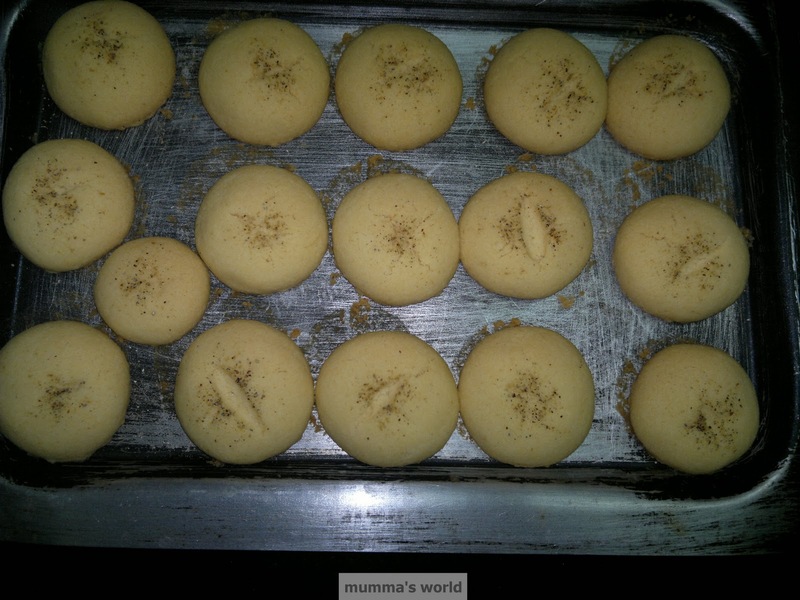 So, I hope you guys make and enjoy these super yummy cookies with your family and friends.